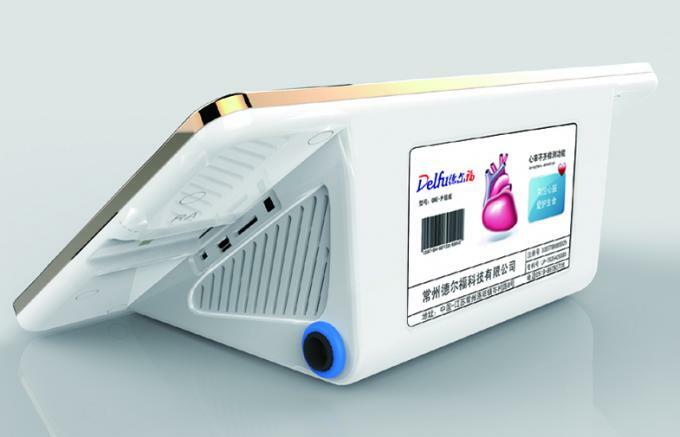 Delfu Personal ECG monitor real-time detects and displays ECG parameters, stores a large number of records and allows you playback records of your choice. Puts both average person and patients in control of their heart health on occasional abnormal heartbeat feeling or in some emergency situations. 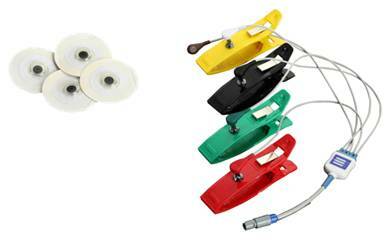 Portable, pocket size, lightweight, easy to carry, easy to use. Be available in some emergency situations for obtaining useful information immediately. While waiting for emergency and transportation help. 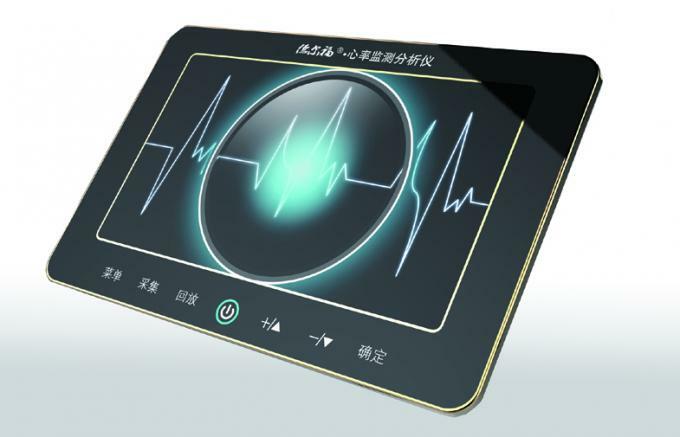 Simulated extremity leads suitable for measure during physical exercise and slight movement dynamic monitoring (such as jogging, walking), analyze 6 waveforms of M Ⅰ, M Ⅱ, M Ⅲ, MaVL, MaVR, MaVF. 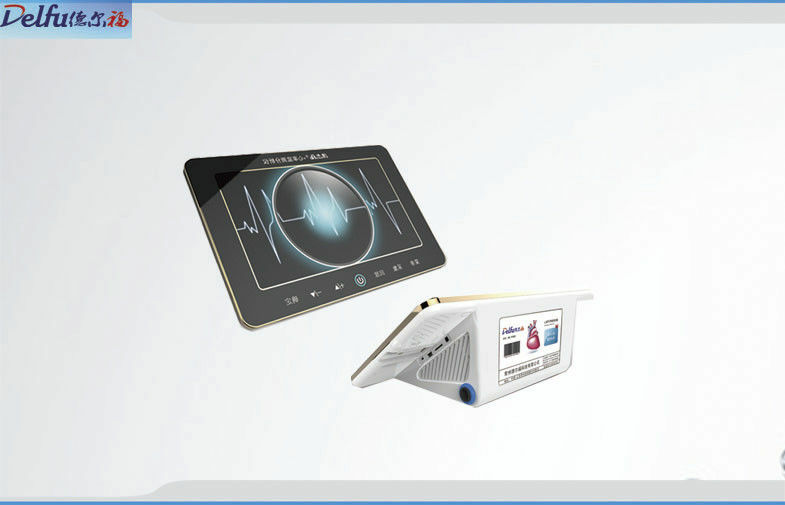 Simulated precordial leads suitable for measure cardiac patients with a long time ambulatory monitoring, analyze waveform of MV1, MV5. 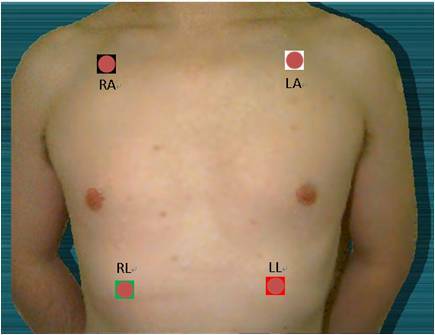 (1) SD card used for record of a long time ambulatory monitoring and physical exercise monitoring. 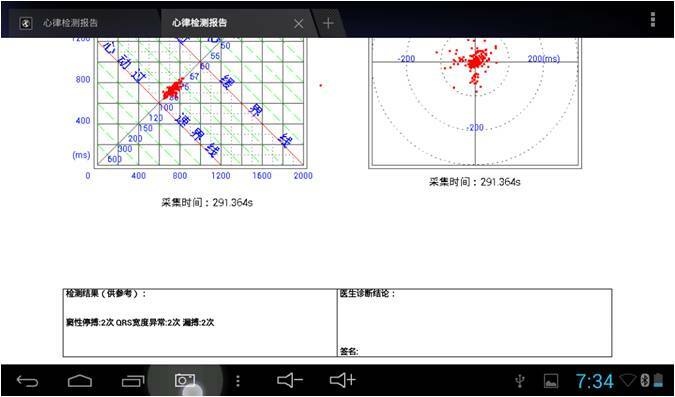 (2) PAD or Mobile phone monitoring used for real time monitoring during business trip or travel. 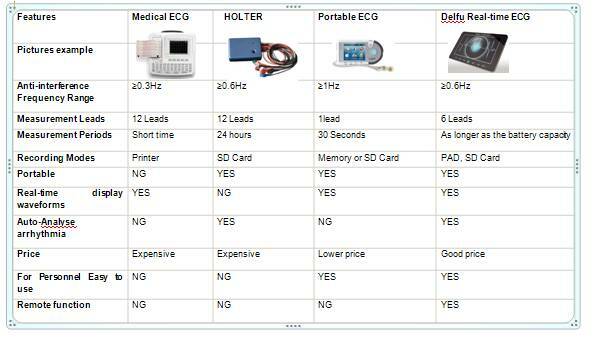 (3) Desktop PC monitoring suitable for families, office occasions or community hospital usage. Analysis software can be installed for desktop computers and smart phones. Playback Mode used for pause, zoom, play back, to review output reports and scatter diagrams. 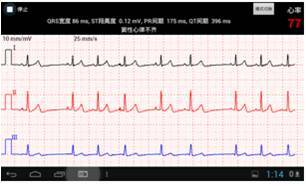 6 leads for Simulated extremity of MⅠ, MⅡ, M Ⅲ, MaVL, MaVR, MaVF.